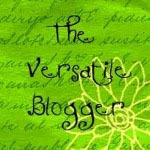 My friend Denise from Gypsy World Spice Cafe shared The Versatile Blogger Award with me. I am quite honored she did. Even though Denise and I have never met, I feel like we are friends from sharing through our blogs. If you ever want to know what to do with a spice, check out Denise’s blog. She has some fabulous and creative ideas! Really, check out her recipes. They are beyond amazing! There are some strings attached to accepting the award… The award works like a chain letter. 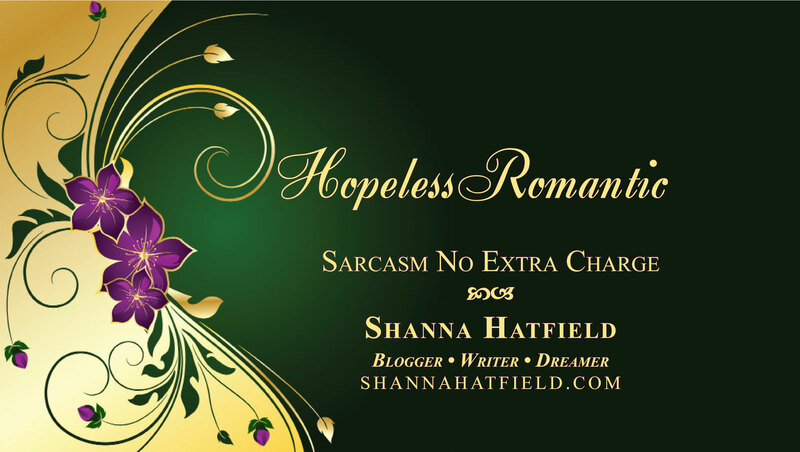 So by accepting the award, I have to share 7 blogs that I love, along with sharing 7 things about myself. Natty Nook: Kirby and Lena serve up everything from Home Décor and DYI projects to fun recipes. And they are also fans of The Pioneer Woman – a blog I must read daily. My Name is Snickerdoodle: Amy’s posts are fun, entertaining, endearing and sometimes make me drool as I look at her recipes. Making Miracles: Began as a way for her to share her journey into surrogacy and now includes some delicious recipes as well as every day living that is fun, inspiring and uplifting. Kevin & Amanda: You’ll find a variety of wonderful things on this blog from tasty recipes and scrapbooking ideas to beautiful photography and fonts! The Magic Number: My friend Lindsay, whom I greatly admire, started writing this blog when she found out she was pregnant. She has continued writing it with much humor and inspiration. Check out her post entitled “Nice girls.” I can’t tell you how much I love it. How Sweet It Is: Beautiful Jessica writes about food, workouts and life in a very engaging and fun way. In addition to great photos, she has some recipes you have to try! Jamie’s Appleseeds: My friend and neighbor, Jamie, writes a lovely blog about life and love and photography. She is one of the sweetest people I know and her posts always make me smile. 1. This one is not a secret to anyone who knows me or has read my blog, but I love chocolate. As in, if a day goes by and I don’t have any, my world starts to crash around my ears. Growing up, my mother thought I was allergic to chocolate and for more than a decade I was not allowed to eat any. Captain Cavedweller, my wonderful hubby, decided to test the theory and offered me a bit of his candy bar. I didn’t die, or even have an allergic reaction, so I have been on a quest since that day to make up for all the years I missed eating chocolate. 2. I love the smell of sagebrush. I grew up on a farm that was surrounded on two sides by sagebrush. When the summer rainstorms would hit, the scent of sagebrush would mingle with the tang of raindrops creating a fragrance that someone should figure out how to bottle. 3. We had a calf that lost his mother when I was in high school, so he became my pet. I bottle fed him and spoiled him. Blackie would follow me around like a dog. He ran loose in our yard a good part of one summer, which made running through the grass barefoot a bit of a challenge. 4. As much as I love food, I can’t stand the taste of sweet mingling with other flavors. I don’t want a sweet dressing on my salads, don’t put a fruit salsa on my entrée (I had a mango and ham sandwich once that nearly did me in! ), I don’t even like sweet and sour sauce. 6. Border Collies are my favorite breed of dog. Captain Cavedweller and I had the most wonderful dog when we bought our first home. We loved her to pieces, as did most of our family. When we moved, my Dad kept her for us. Following an accident she had to be put to sleep. We still miss her, terribly. 7. I call my hubby Captain Cavedweller. He didn’t like being referred to as “Most Wonderful Hubby” here on my blog. So after a bunch of name-calling, Captain Cavedweller seemed to be a perfect fit. Since his aspiration is to some day be a hermit, you can’t even know how appropriate the name is. We met 18 years ago, have been married for 17 and I never imagined loving someone as much as I love him. He loves me unconditionally, encourages my dreams and wild ideas, lets me be me and spoils me. And I like it. I feel as though we are friends too. 🙂 I cannot wait to check out these blogs that you have featured! My husband doesn’t like an sweet flavors mingling with other flavors either… 🙂 Not even cinnamon..
on July 26, 2011 at 1:27 pm | Reply Amy W.
Congratulations on your award and I am sure that made your day! You made my day, however, when you posted my blog as one of your favorites! I really enjoyed reading about you…#7 had me rolling!